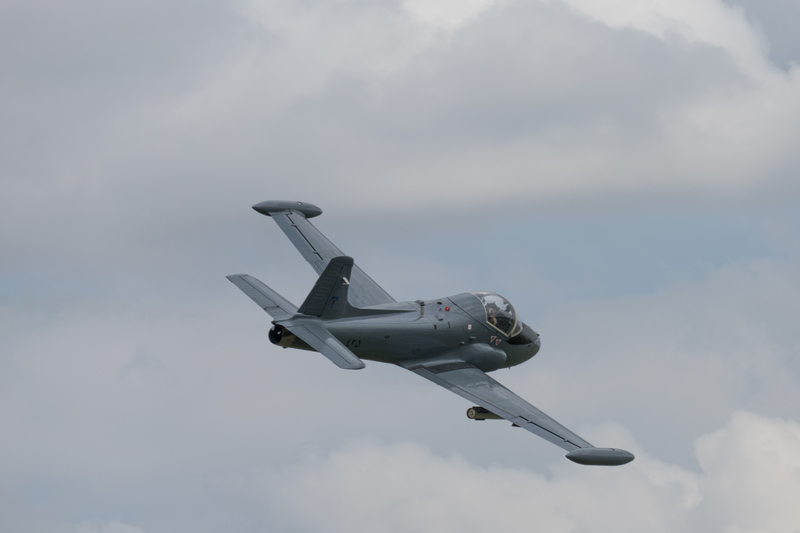 This year has been a busy one for Headcorn, with a fully blown airshow taking place earlier in July and the Southern Model show coming up in September. August is the traditional slot for the airfield’s big weekend event, Combined Ops. This show is primarily a military vehicle show, but it has played host to a number of memorable flying displays over the years. 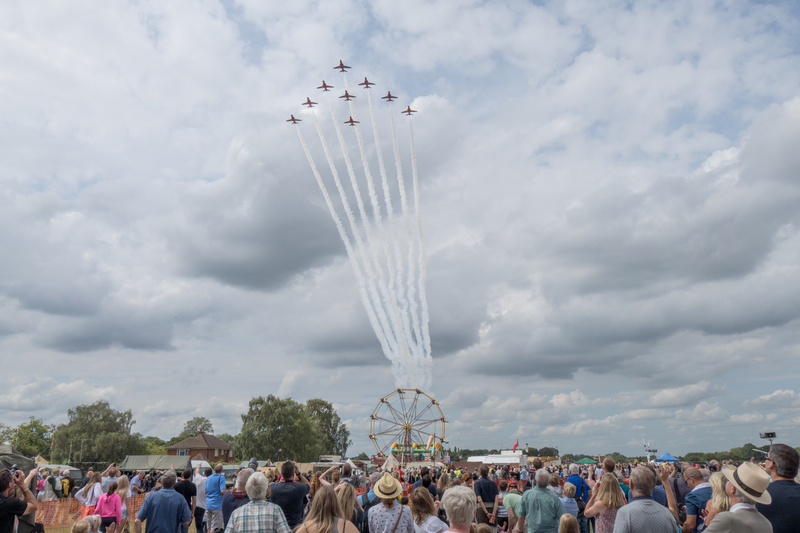 This year looked set to have one of the best line-ups for a number of years, with the Vulcan and Red Arrows being the headline act on the respective days. The Reds performing a memorable flypast on the Saturday of the event. I elected to go on the Saturday of the show, which was Vulcan day. Luckily Kent was blessed with excellent weather for the day. The first aerial entertainment came in the shape of Aero Legends’ Spitfire, TD314 arriving from Coningsby in the hands of the BBMF’s Anthony Parkinson. Some Headcorn based trainers put on an entertaining formation routine. The main flying display started later in the afternoon. There had been an unfortunate series of cancellations for the show, but an entertaining afternoon’s flying was still offered. 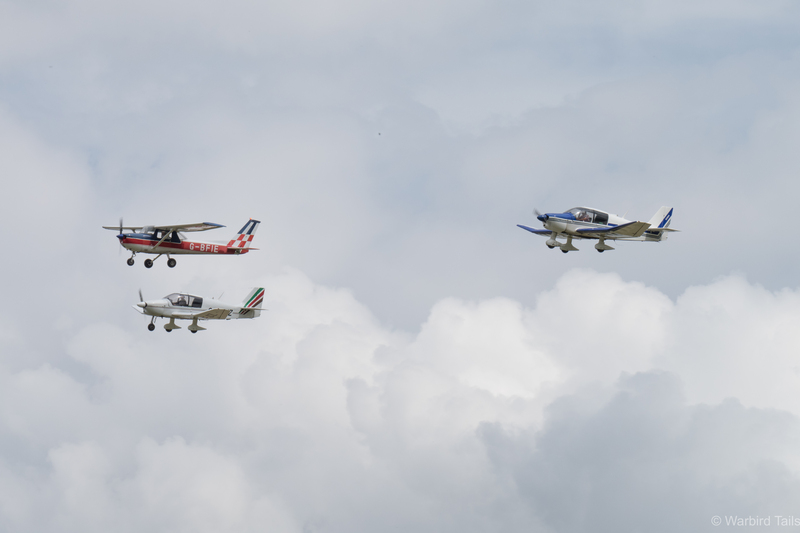 The first act was a formation demonstration from the Headcorn based flying cub, offering a three ship display of a Cessna 150 Aerobat, along with two Robin DR400s. This display made for a pleasant change and no doubt will have served to inspire some into taking a trial flight with the club. 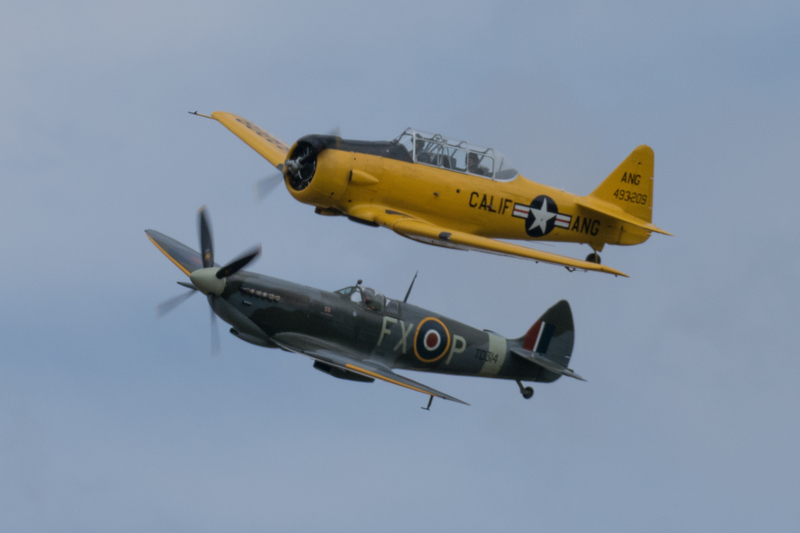 The Aero Legends T6 and Spitfire performed together and on their own during the afternoon. The Classic Air Force’s Dragon Rapide was busy carrying out pleasure flights all day and during the flying display it carried out a very special flight, alongside the Spitfire and Harvard of Aero Legends. While the Rapide started this pleasure flight we were treated to an excellent display from the Spitfire with plenty of graceful aerobatics and sweeping turns. Once again it is great to see the current BBMF pilots out flying some civilian Spitfires. XH558 is always a welcome sight, especially at small airfields such as Headcorn. 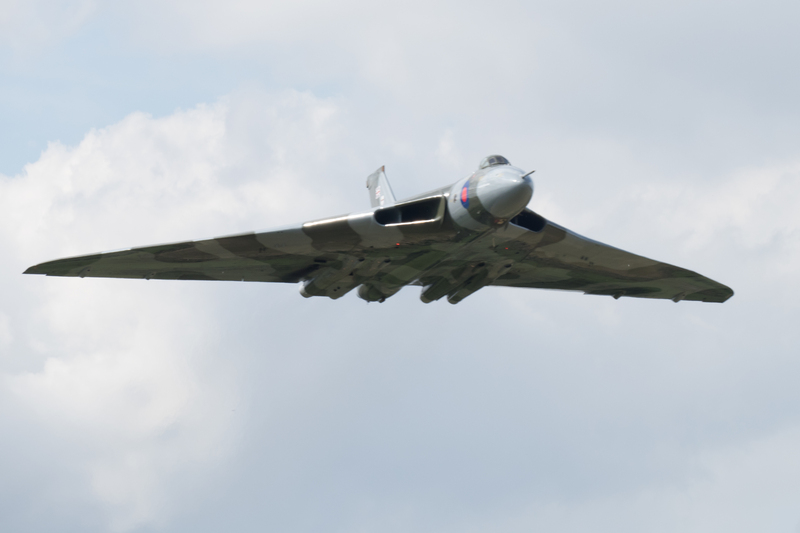 The main event came as Vulcan XH558 came into view over the trees of the airfield. Having seen the Vulcan at Shuttleworth a month prior to this show I was expecting similar things at another small venue. 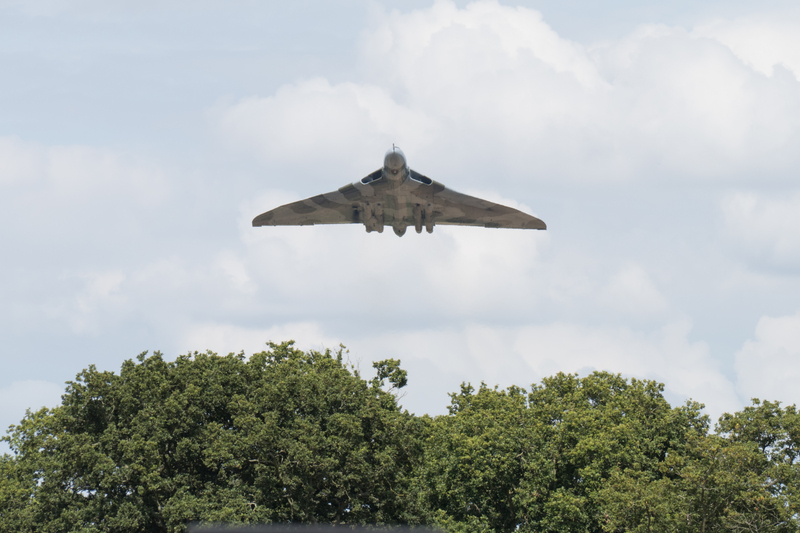 I certainly wasn’t disappointed, plenty of close in passes, along with one very memorable moment where the Vulcan appeared from behind the trees. The Vulcan display concluded with an impressive as ever zoom climb and steep wingover. “That” moment, this will certainly stay at the front of my mind when thinking of XH558’s displays over the years. As well as these main events we were also treated to a full display from the Harvard, its debut since its recent rebuild. Flypasts came in the shape of the Red Arrows, Strikemaster, Typhoon and a series of passes from a Spitfire and Hurricane of the BBMF. The Strikemaster made a brief but impressive appearance. Flying at this event has never been the main focus and while this years may have been slightly more subdued, the excellent appearance from the Vulcan more than made up for it. The ground event itself makes impressive viewing with countless tanks and other vehicles covering the field, a great event that continues to grow year on year.